Joki Boho Romper Dress is “On Sale”! 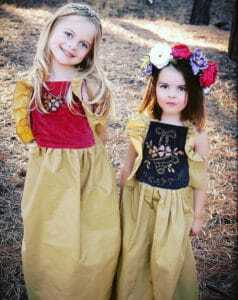 Boho-chic clothing for children is based upon bohemian values of beauty, comfort, and honoring diverse cultures. It is a look that favors the fluid, the floral, and the values of fun. Bohemian chic is the opposite of cookie-cutter cute. It is a style that is as unique as the individual who wears it. It is often centered on the casual American fashion of the 1960s, but as the counterculture included the influences of earlier time periods in its eclectic embrace of style and personal values, it often includes hints of the Victorian, a nod to the fabrics and details of the 1940s, or an homage to the intellectuals of the 1950s. Children take to the casual visual creativity of boho-chic. The style is fun, unfussy, and can be adaptable by adding new layers and pieces to keep a wardrobe growing along with your little one. Individual elements co-operate and co-ordinate, playing together beautifully. 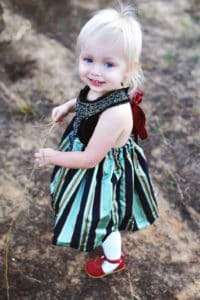 Your child is unique and sporting unique children’s clothes is one way to celebrate the special qualities that your child embodies. As your child blossoms, so will the clothing pieces that he or she is attracted to collecting. One way to bring the drama and fun of vintage stylings into the wardrobe is by employing vintage fabrics and patterns for a feeling of authenticity. These can be found everywhere, from your own home to flea markets to online specialty stores. Part of the adventure is coming upon the unique find. Whether you’re repurposing clothing or creating new items with saved materials, a boho-chic look celebrates the ideals of sustainability, of using, reusing, and repurposing both the trends, themes, and materials that honor the fashions and ease of yesterday for the children of today. If you know how to sew or knit and enjoy using these skills to make things that are useful and beautiful…those are wonderful gifts. If you enjoy teaching these skills to your child that is the bow on the gift. A central theme in the ideology and styling of boho-chic children’s clothes is that in a world that sometimes seems to easily proffer conformity and commodification, you can teach the values the celebrating the original, the unusual, and the one-of-a-kind. It shows a mindfulness in the elevation of the quotidian. Each piece is thoughtfully selected and valued for the wit and appeal that it possesses. Like the original bohemians who desired to shake up mainstream conformity and live according to values of authenticity and the true core values of egalitarianism and intellectualism…of a life of the senses and of expressing oneself through art, work, and play; bohemian children’s clothes express these same core values. 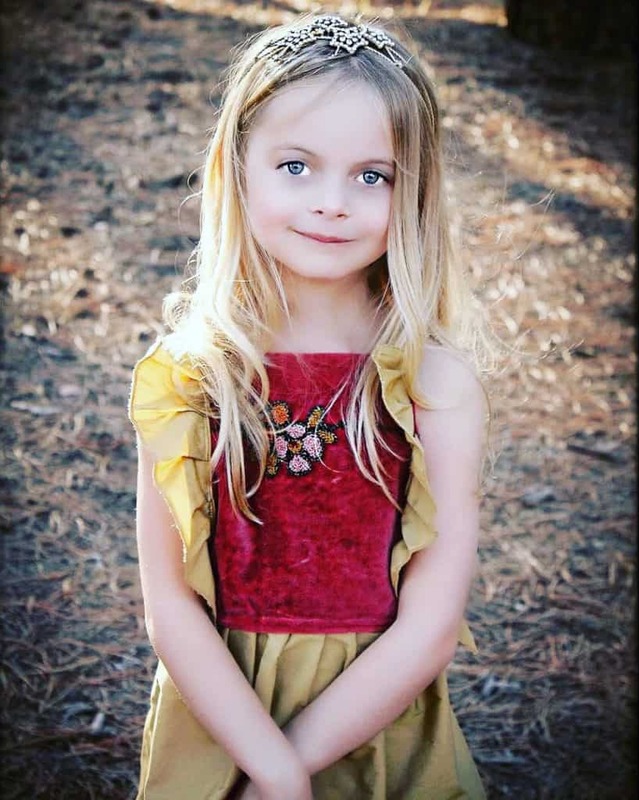 This entry was posted in Style and tagged Boho Chic Children's Clothing, Boho Chic Children's Clothing Designs, Boho Chic Children's Style, Boho Chic Girls Clothing, Boho Chic Girls Dresses, Boho Children's Clothing, Custom Girl Dress, Vintage Girls Clothing, vintage girls dress, Vintage Girls Dresses.